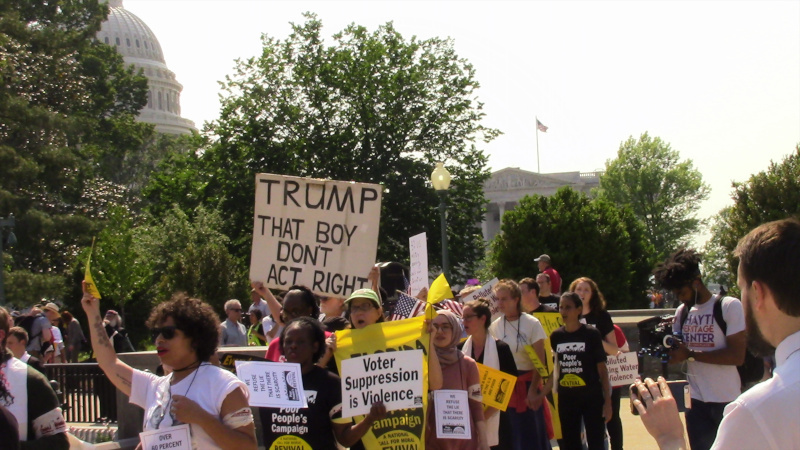 On the 14th of May, the Poor People's Campaign kicked off six weeks of direct action with civil disobedience in cities all over Turtle Island, resulting in hundreds of arrests. Here in DC, protesters marched into the streets from the US Capitol and were quickly but partially kettled by US Capitol Police. The route back to one sidewalk was not blocked but protesters stood their ground and were then arrested. One report said over 150 people were in the "risking arrest" portion of what had been a much larger march. 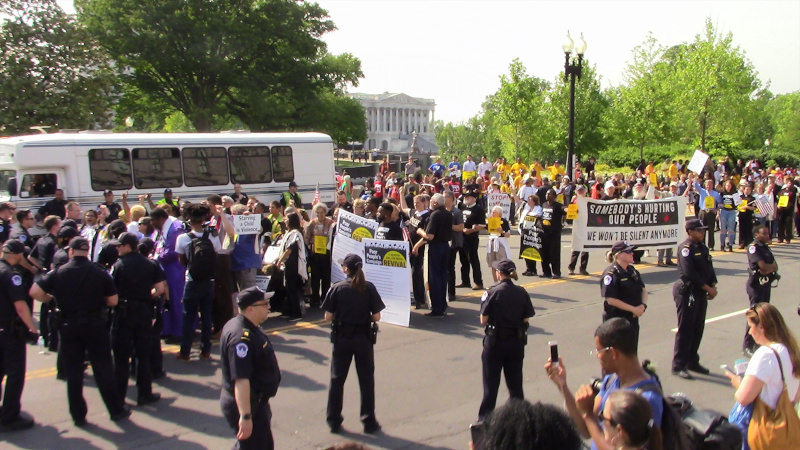 Another reported that arrestees overflowed the US Capitol Police holding facility. 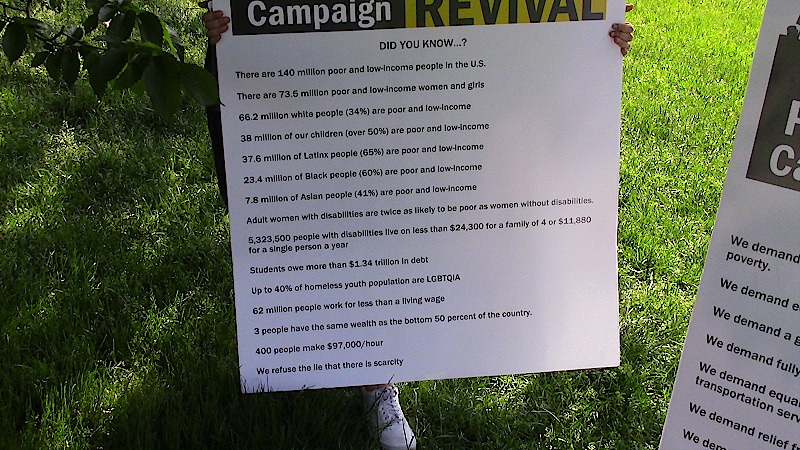 The Poor People's CampaIgn is rooted in pastors and faith communities, and stands against virtually all of the policies of Trump and the GOP that have exacerbated poverty in the US. 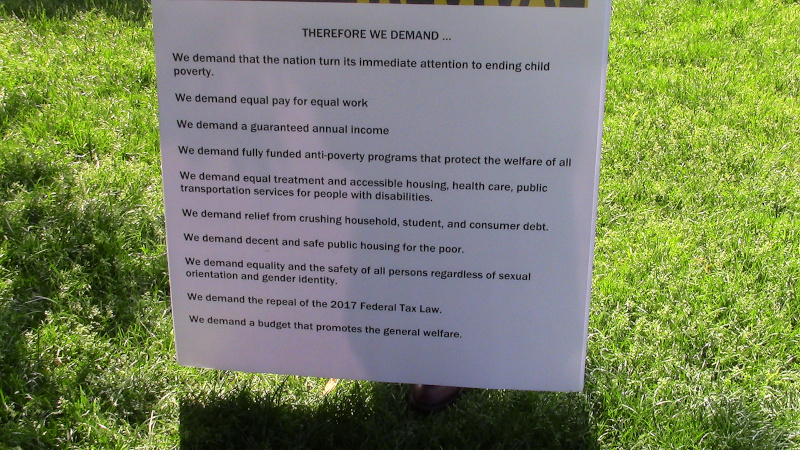 Demands include equal pay for equal work, fully funding all antipoverty programs, decent and safe public housing, the repeal of the 2017 Trump Tax bill, relief from student and consumer debt, and a guarateed minimum income among many others.